In a note seen by AppleInsider, Ming-Chi Kuo of KGI Securities sees lackluster demand through the supply chain for the HomePod. As a result of market forces, and strong competition in the sector, he suspects that Apple is considering building a lower-cost model for a future release — but has not as of yet started any serious work on the concept. It isn't clear how accurate the HomePod sales figures that Kuo is predicting are. Initial HomePod sales reports derived from a questionable source that has historically underestimated sales suggested that Apple stores were selling 10 HomePods per day per retail location, meaning that Apple is still selling around 21,000 per week in the three countries that it is available. If the numbers are accurate, and stay at 10 units per day, this would lead to 630,000 sold just through Apple Stores through the end of the year not including what's already been sold, units sold by retailers like Target and Best Buy, and what may be sold by Apple online. This also does not include any holiday increase in sales, as Christmas 2018 will be the first holiday season that the HomePod will be available. Additionally, the HomePod will be available in France and Germany before the end of the Spring, with more announcements of availability expected before the end of the year. "I would suggest it's good to question the accuracy of any kind of rumor about build plans.," Apple CEO Tim Cook said in 2013, and has reiterated since. "And I'd also stress that even if a particular data point were factual, it would be impossible to accurately interpret the data point as to what it meant for our overall business." Apple will not break out sales of the speaker itself, in much the same way that it doesn't disclose Apple Watch sales. The reports continue several months of discussion about the HomePod, which launched in February after a months-long delay. 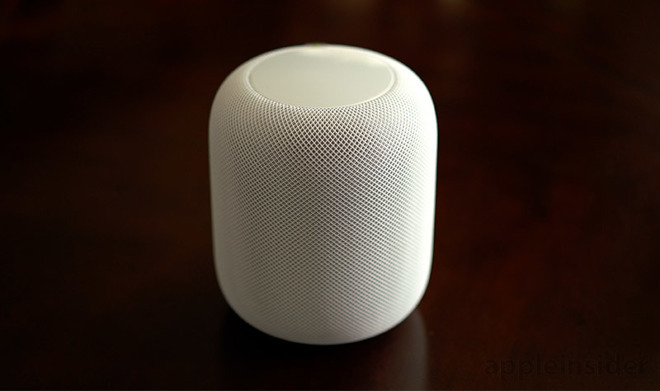 While the speaker has been praised for the quality of its sound, including in AppleInsider's review, the HomePod has been criticized for the lack of accuracy of the speaker's Siri functionality. There have also been complaints from HomePod owners who say a recent firmware update affected the speaker's sound quality. Kuo is not the first to predict that Apple is working on a cheaper model of the HomePod for release later this year.